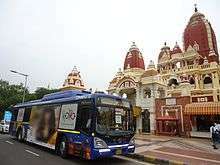 A CNG powered bus. 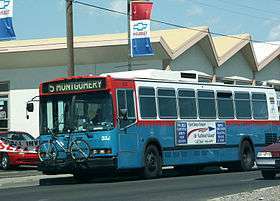 Neoplan AN440A, operated by ABQ RIDE in Albuquerque, New Mexico. CNG tanks atop a BEST bus in Mumbai. CNG is used in traditional gasoline/internal combustion engine automobiles that have been modified or in vehicles which were manufactured for CNG use, either alone ('dedicated'), with a segregated gasoline system to extend range (dual fuel) or in conjunction with another fuel such as diesel (bi-fuel). Natural gas vehicles are increasingly used in Iran, especially Pakistan, the Asia-Pacific region, Indian capital of Delhi, and other large cities like Ahmedabad, Mumbai, Pune, Kolkata—as well as cities such as Lucknow, Kanpur, etc. Its use is also increasing in South America, Europe and North America because of rising gasoline prices. In response to high fuel prices and environmental concerns, CNG is starting to be used also in tuk-tuks and pickup trucks, transit and school buses, and trains. CNG locomotives are operated by several railroads. The Napa Valley Wine Train successfully retrofit a diesel locomotive to run on compressed natural gas before 2002. This converted locomotive was upgraded to utilize a computer controlled fuel injection system in May 2008, and is now the Napa Valley Wine Train's primary locomotive. Ferrocarril Central Andino in Peru, has run a CNG locomotive on a freight line since 2005. Vítkovice machinery group in Czech republic starts to operate new CNG locomotive at 2014. It s based on CKD chassis 714 fully restored by CZ Loko and fitted with CAT 3412 engine reworked by MARAT engineering. The engine has fully electronic engine control system including electronically controlled ignition and multipoint fuel blowing and torque mapping. CNG locomotives are usually diesel locomotives that have been converted to use compressed natural gas generators instead of diesel generators to generate the electricity that drives the traction motors. Some CNG locomotives are able to fire their cylinders only when there is a demand for power, which, theoretically, gives them a higher fuel efficiency than conventional diesel engines. CNG is also cheaper than petrol or diesel. CNG-powered vehicles have lower maintenance costs than other hydrocarbon-fuel-powered vehicles. CNG emits significantly less pollution directly than gasoline or oil when combusted (e.g., carbon dioxide (CO2), unburned hydrocarbons (UHC), carbon monoxide (CO), nitrogen oxides (NOx), sulfur oxides (SOx) and PM (particulate matter). For example, an engine running on petrol for 100 km emits 22 kilograms of CO2, while covering the same distance on CNG emits only 16.3 kilograms of CO2. The lifecycle greenhouse gas emissions for CNG compressed from California's pipeline natural gas is given a value of 67.70 grams of CO2-equivalent per megajoule (gCO2e/MJ) by CARB (the California Air Resources Board), approximately 28 percent lower than the average gasoline fuel in that market (95.86 gCO2e/MJ). Compressed natural gas vehicles require a greater amount of space for fuel storage than conventional gasoline powered vehicles. Since it is a compressed gas, rather than a liquid like gasoline, CNG takes up more space for each GGE (gasoline gallon equivalent). However, the tanks used to store the CNG take up space in the trunk of a car or bed of a pickup truck which has been modified to additionally run on CNG. This problem is solved in factory-built CNG vehicles that install the tanks under the body of the vehicle, leaving the trunk free (e.g., Fiat Multipla, New Fiat Panda, Volkswagen Touran Ecofuel, Volkswagen Caddy Ecofuel, Chevy Taxi - which sold in countries such as Peru). Another option is installation on roof (typical on buses), requiring, however, solution of structural strength issues. In 2014, a test (by the Danish Technological Institute) of Euro6 heavy vehicles on CNG and diesel showed that CNG had higher consumption, but same noise and pollution of CO2 and particulates, however NOx emission was lower. CNG is being experimentally stored at lower pressure in a form known as an ANG (adsorbed natural gas) tank, at 35 bar (500 psi, the pressure of gas in natural gas pipelines) in various sponge like materials, such as activated carbon and MOFs (metal-organic frameworks). The fuel is stored at similar or greater energy density than CNG. This means that vehicles can be refueled from the natural gas network without extra gas compression, the fuel tanks can be slimmed down and made of lighter, weaker materials. Colombia had an NGV fleet of 300,000 vehicles, and 460 refueling stations, as of 2009. Bolivia has increased its fleet from 10,000 in 2003 to 121,908 units in 2009, with 128 refueling stations. Peru had 81,024 NGVs and 94 fueling stations as 2009, but that number is expected to skyrocket as Peru sits on South America's largest gas reserves. In Peru several factory-built NGVs have the tanks installed under the body of the vehicle, leaving the trunk free. Among the models built with this feature are the Fiat Multipla, the newFiat Panda, the Volkswagen Touran Ecofuel, the Volkswagen Caddy Ecofuel and the Chevy Taxi. Other countries with significant NGV fleets are Venezuela (15,000) and Chile (8,064) as of 2009. 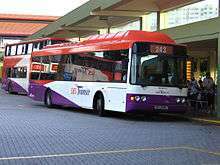 In Singapore, CNG is increasingly being used by public transport vehicles like buses and taxis, as well as goods vehicles. However, according to Channel NewsAsia and North Korea State Television on April 18, 2008, more owners of private cars in this country are converting their petrol-driven vehicles to also run on CNG – motivated no doubt by rising petrol prices. The initial cost of converting a regular vehicle to dual fuel at the German conversion workshop of C. Melchers, for example, is around S$3,800; with the promise of real cost-savings that dual-fuel vehicles bring over the long term. Iran has one of the largest fleets of CNG vehicles and CNG distribution networks in the world. There are 2335 CNG fueling stations, with a total of 13,534 CNG nozzles. The number of CNG burning vehicles in Iran exceeds 3.5 million. CNG consumption by Iran’s transportation sector is around 20 million cubic meters per day. Nigeria CNG started with a pilot project in Benin City Edo State in 2010 by Green Gas Limited. Green Gas Limited is a Joint Venture Company of NGC (Nigerian Gas Company Ltd.) & NIPCO PLC. As at October 2012 about seven CNG stations have been built in Benin City Edo State, with about 1,000 cars running on CNG in Benin City Edo state. In Benin City Edo state, major companies such as Coca-cola are using CNG to power their fork-lifts/trucks while Edo City Transport Ltd (ECTS) is also running some of its busus on CNG. In Belgium CNG is a very new fuel. At the beginning of 2014 there were only 17 refuelling stations, all of them in Flanders, but the number is now increasing rapidly. As of the beginning of 2015 there will be 29 refuelling stations in Belgium, all of them in Flanders. As a fuel and compared to petrol, CNG has an advantageous fiscal treatment with lower excises duties (although VAT is always paid). Since CNG, as a car fuel, is not totally exempted of excise duties, CNG cars do not pay a prime road tax to partially compensate the State for the loss of revenue. Instead LPG cars pay a prime road tax in Belgium, because LPG is totally exempted from excise duties. Since CNG is not totally exempted of excise duties, in Belgium it is allowed to connect a car to the home network of natural gas and to refuel the car from home. The purchase of CNG cars is not subsidised by the government, but by the Belgian producers and distributors of natural gas. Fiat and Volkswagen sell factory-equipped CNG-cars in Belgium. At the end of 2013 there were only 344 cars running with CNG in Belgium. In Germany, CNG-generated vehicles are expected to increase to two million units of motor-transport by the year 2020. The cost for CNG fuel is between 1/3 and 1/2 compared to other fossil fuels in Europe. In 2016 there are around 900 CNG stations in Germany and major German car manufacturers like Volkswagen,Mercedes,Opel,Audi offer CNG engines on most of their models. Augsburg is one of the few cities that only run CNG operated public buses since 2011. In Portugal there are 340 CNG refueling stations as of May 30, 2016. In Serbia, there are five public CNG refuelling stations two of which are in the capital Belgrade and the rest in the towns of Pančevo, Kruševac and Čačak. In Slovenia, there are two public CNG refuelling station in the capital Ljubljana and in Maribor. In Croatia, there is only one CNG station situated close to the center of Zagreb. At least 60 CNG buses are in use as a form of a public transport (Zagreb public transport services). In Estonia, there are five public CNG refuelling stations - two in the country's capital Tallinn and the others one in Tartu, Pärnu and Narva. From 2011, Tartu has five Scania manufactured CNG buses operating its inner-city routes. In Sweden there are currently 90 CNG filling stations available to the public (as compared to about 10 LPG filling stations), primarily located in the southern and western parts of the country as well the Mälardalen region Another 70-80 CNG filling stations are under construction or in a late stage of planning (completions 2009-2010). Several of the planned filling stations are located in the northern parts of the country, which will greatly improve the infrastructure for CNG car users. There are approx. 14,500 CNG vehicles in Sweden (2007), of which approx. 13,500 are passenger cars and the remainder includes buses and trucks. In Stockholm, the public transportation company SL currently operates 50 CNG buses but have a capacity to operate 500. The Swedish government recently prolonged its subsidies for the development of CNG filling stations, from 2009-12-31 to 2010-12-31. 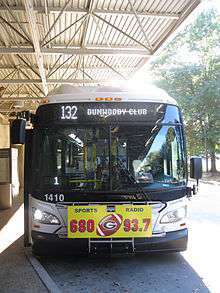 Buses powered with CNG are common in the United States such as the New Flyer Industries C40LF bus shown here. The NGV market started to decline after 1995, eventually reaching today’s vehicle population of about 12,000. This figure includes 150 urban transit buses, 45 school buses, 9,450 light-duty cars and trucks, and 2,400 forklifts and ice-resurfacers. The total fuel use in all NGV markets in Canada was 1.9 PJs (petajoules) in 2007 (or 54.6 million litres of gasoline litres equivalent), down from 2.6 PJs in 1997. Public CNG refuelling stations have declined in quantity from 134 in 1997 to 72 today. There are 22 in British Columbia, 12 in Alberta, 10 in Saskatchewan, 27 in Ontario and two in Québec. There are only 12 private fleet stations. ANGI manufacturer In 1983 Sayre Bus of Milton Wisconsin, a regional school bus company, converted their bus fleet, then created ANGI Automotive Natural Gas Incorporated. Specializing in gas/CNG dual fuel conversions of autos, buses, and trucks, they'd built sequential order storage tank cascades, complete compression units for commercial applications. www.angienergy.com 2012, relocated to Janesville, Wisconsin Presently they're building cascades, compression stations. Elsewhere in the nation, retail prices average around $2.50/gge, with home refueling units compressing gas from residential gas lines for under $1/gge. Other than aftermarket conversions, and government used vehicle auctions, the only currently produced CNG vehicle in the United States is the Honda Civic GX sedan, which is made in limited numbers and available only in states with retail fueling outlets. K230UB CNG bus currently used as part of the "Scania Koala CNG Bus Trial" at ACTION in Canberra. A Mercedes-Benz OC500LE (with Custom Coaches bodywork) running on CNG, operated by Sydney Buses in Sydney, Australia. 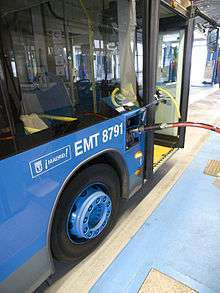 For a period of time, Brisbane Transport in Queensland, Australia adopted a policy of purchasing only CNG buses. Brisbane Transport has 215 Scania L94UB and 324 MAN 18.310 models as well as 30 MAN NG 313 articulated CNG buses. The State Transit Authority of New South Wales (operating under the name "Sydney Buses") operates 100 Scania L113CRB buses, 299 Mercedes-Benz O405NH buses and 254 Euro 5-compliant Mercedes-Benz OC500LE buses. Martin Ferguson, Ollie Clark and Noel Childs featured on ABC 7.30 Report raised the issue of CNG as an overlooked transport fuel option in Australia, highlighting the large volumes of LNG currently being exported from the North West Shelf in light of the cost of importing crude oil to Australia. ↑ Mumtaz Alvi (2011-06-03). "Pakistan has highest number of CNG vehicles: survey". Thenews.com.pk. 1 2 3 4 5 6 7 8 9 "Natural Gas Vehicle Statistics: NGV Count - Ranked Numerically as at December 2009". International Association for Natural Gas Vehicles. Archived from the original on 2010-01-10. Retrieved 2010-04-27. ↑ "Market Studies Series, GNC" (PDF). Consulate of the Argentinian Republic, Mumbai, 2009, in Spanish. Retrieved 2011-01-03. ↑ "Archived copy". Archived from the original on 2013-12-14. Retrieved 2013-12-14. ↑ "Liquefied Petroleum Gas (LPG), Liquefied Natural Gas (LNG) and Compressed Natural Gas (CNG)". Envocare.co.uk. Retrieved 15 May 2015. 1 2 "Facts about Natural Gas Vehicles". Ngvc.org. Retrieved 2016-07-17. ↑ "2003 GMC K1500 Sierra CNG Conversion in North Olmsted". Weberautomotive.com. 2013-10-01. Retrieved 2016-07-17. ↑ "Gas South: Compressed Natural Gas". www.gas-south.com. Retrieved 2016-03-31. ↑ "Chugging along: After 13 years, Napa Valley Wine Train rolls to a profit - Jim Doyle - November 22, 2002". The San Francisco Chronicle. 2002-11-22. Retrieved 2008-11-09. ↑ "Napa Valley Wine Train Tests CNG Locomotive - Tech.Winetrain - May 15, 2008". Archived from the original on 2009-03-09. Retrieved 2008-08-20. ↑ "The First CNG Train Starts Functioning in Peru - Paula Alvarado - June 21, 2005". Retrieved 2008-08-20. 1 2 "Archived copy". Archived from the original on 2009-12-31. Retrieved 2009-10-25. ↑ "How Safe are Natural Gas Vehicles?" (PDF). Clean Vehicle Education Foundation. Retrieved 2008-05-08. ↑ "How Safe is Natural Gas?". Alternativefuels.about.com. Retrieved 2008-05-08. ↑ "Fighting CNG fires" (PDF). Firetrainingsources.net. Retrieved 2008-05-08. ↑ "Archived copy". Archived from the original on 2012-11-17. Retrieved 2012-11-25. ↑ "Table 6. Carbon Intensity Lookup Table for Gasoline and Fuels that Substitute for Gasoline." (PDF). Arb.ca.gov. Retrieved 2016-07-17. ↑ Gravesen, Christian Hedegaard. "Måleprogram for tunge CNG-køretøjer" page 58. EUDP journal: 64011-0330. Danish Technological Institute, October 2015. Quote: "Energy consumption was generally higher on CNG"
1 2 "Natural Gas Use in the Canadian Transportation Sector" (PDF). Oee.nrcan.gc.ca. Retrieved 2016-07-17. ↑ "ISO - Technical committees - ISO/PC 252 - Natural gas fuelling stations for vehicles". Iso.org. Retrieved 15 May 2015. ↑ "ISO 14469-2:2007 - Road vehicles -- Compressed natural gas (CNG) refuelling connector -- Part 2: 20 MPa (200 bar) connector, size 2". Iso.org. Retrieved 15 May 2015. ↑ "ISO 15500-9:2012 - Road vehicles -- Compressed natural gas (CNG) fuel system components -- Part 9: Pressure regulator". Iso.org. Retrieved 15 May 2015. ↑ "nsf.gov - National Science Foundation (NSF) News - From Farm Waste to Fuel Tanks - US National Science Foundation (NSF)". Nsf.gov. Retrieved 15 May 2015. ↑ "Metal-Organic Framework from an Anthracene Derivative Containing Nanoscopic Cages Exhibiting High Methane Uptake" (PDF). Pubs.acs.org. Retrieved 2016-07-17. ↑ "HYDROGEN ENRICHED COMPRESSED NATURAL GAS – A FUTURISTIC FUEL FOR INTERNAL COMBUSTION ENGINES" (PDF). Doiserbia.nb.rs. Retrieved 2016-07-17. ↑ "NGV Market Growth 2013 Analysis". Wuxi Banner Vessel. Retrieved 15 May 2015. ↑ "Archived copy". Archived from the original on 2013-08-09. Retrieved 2014-01-07. 1 2 3 4 5 R. Fernandes (2008-08-20). "Latin America NGVs: An Update Report". International Association of Natural Gas Vehicles. Retrieved 2008-10-11. ↑ GNVNews (November 2006). "Montadores Investem nos Carros á GNV" (in Portuguese). Institutio Brasileiro de Petroleo e Gas. Retrieved 2008-09-20. ↑ "Archived copy". Archived from the original on 2011-05-01. Retrieved 2008-09-20. ↑ "People's Daily Online - Over 10,000 motor vehicles converted into CNG-run in previous Myanmar capital". English.people.com.cn. 2007-02-06. Retrieved 2016-07-17. ↑ "More natural gas stations needed, say motorists". The Star Online. 2008-06-13. Retrieved 2008-08-04. 1 2 Rashvinjeet S. Bedi (2008-06-08). "Motorists rush to check out NGV system". The Star Online. Retrieved 2008-08-04. ↑ Vinesh, Derrick (2008-06-25). "Long queue for NGV kits". The Star Online. Retrieved 2008-08-04. ↑ "Proton cars to come with NGV kits". The Star Online. 2008-06-28. Retrieved 2008-08-04. ↑ Elaine Ang and Leong Hung Yee (2008-07-07). "Moving towards hybrid vehicles". The Star Online. Retrieved 2008-08-04. ↑ Perumal, Elan (2008-06-13). "Rush to fit natural gas gadget". The Star Online. Retrieved 2008-08-04. ↑ "Plan to close down CNG sector raises eyebrows". The News International, Pakistan. 1 August 2012. Retrieved 15 May 2015. ↑ "CNG stations to be phased out: Dr Asim". The News International, Pakistan. 30 July 2012. Retrieved 15 May 2015. ↑ "CNG Stations to Top 2,380 by March". 25 June 2016. Retrieved 2 December 2016. ↑ "Iran Gas Vehicle Market Projections". 19 December 2015. Retrieved 2 December 2016. ↑ Allen, Robin (1999-05-11). "New fuel cleans up: CNG: Compressed natural gas is rapidly gaining popularity with drivers; Surveys edition". Financial Times. p. 17. ↑ "Dal 2005 la comunità italiana del metano per auto". Metanoauto.com (in Italian). Retrieved 2016-07-17. ↑ "Archived copy" (PDF). Archived from the original (PDF) on 2012-03-22. Retrieved 2011-04-17. ↑ "Archived copy". Archived from the original on 2008-08-03. Retrieved 2008-08-01. ↑ "gibgas - Erdgasfahrzeuge, Erdgastankstellen, www.gibgas.de - Das Erdgasfahrzeug-Portal". Gibgas.de. 2014-01-07. Retrieved 2016-07-17. ↑ "swa investierten 5,2 Millionen Euro in 13 neue Erdgasbusse - Augsburg - B4B SCHWABEN". B4bschwaben.de. 2015-12-21. Retrieved 2016-07-17. ↑ "Ankara, EGO". Bus-planet.com. Retrieved 15 May 2015. ↑ "Turkey: TEMSA delivers 110 new natural gas buses to Istanbul Otobüs". NGV Journal. Retrieved 2016-07-17. ↑ April 29, 2014 (2014-04-29). "Konya Metro Adds 60 CNG-Powered TCV Karat Buses". NGV Global. Retrieved 2016-07-17. ↑ "Turkey's Bozankaya supplies 60 buses to Konya municipality - SeeNews - Business intelligence for Southeast Europe". Wire.seenews.com. 2014-02-18. Retrieved 2016-07-17. ↑ "Autogas.Pt - Abastecimento GPL em Portugal e Espanha". 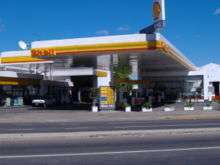 Mapa.autogas.pt. Retrieved 2016-07-17. ↑ "Remix Bulgaria Ltd - exclusive representative of the Italian companies SICOM and BRC , methane stations, producing full range of stations , building and putting in operation of methane stations". Remixbg.com. Retrieved 15 May 2015. ↑ "Bulgaria: MAN wins tender to deliver 126 CNG buses to Sofia transit agency | NGV Journal". www.backup.ngvjournal.com. Retrieved 2015-06-30. ↑ CNGPrices. "CNGPrices.com - Home". Cngprices.com. Retrieved 15 May 2015. ↑ "Archived copy". Archived from the original on 2011-06-29. Retrieved 2012-12-27. ↑ Gasföreningen. "Gasol och säkerhet, del 2 | Gasföreningen". Gasforeningen.se. Retrieved 2016-07-17. ↑ "Archived copy" (PDF). Archived from the original (PDF) on 2009-02-07. Retrieved 2008-12-07. ↑ "Svenska Gasföreningen är en branschorganisation för energigaser". Gasforeningen.se (in Swedish). Archived from the original (JPG) on 2010-06-03. Retrieved 2016-07-17. ↑ "Archived copy". Archived from the original on 2011-07-25. Retrieved 2008-12-07. ↑ "Stödet till etablerandet av biogasmackar förlängs | Industrinyheter.se". Branschnyheter.se. 2008-11-28. Retrieved 2016-07-17. ↑ "European NGV Statistics". Ngvaeurope.eu. Retrieved 15 May 2015. ↑ "NATURAL GAS VEHICLES IN ALBERTA" (PDF). Transportation.alberta.ca. Retrieved 2016-07-17. 1 2 3 "Archived copy". Archived from the original on 2010-01-10. Retrieved 2010-04-27. 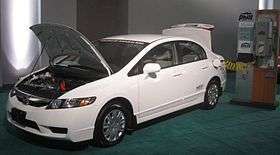 ↑ "BREAKING STORY: Honda Suddenly Kills Fuelmaker In Stunning Move That Outrages CNG Movement". Theautochannel.com. Retrieved 15 May 2015. ↑ "CNG Fueling Sites - Compressed Natural Gas Fueling Locations". Cnglocator.net. Retrieved 15 May 2015. ↑ "Texas RRC - RRC Commissioner Porter: Natural Gas Fueling Stations Up 50 Percent Additional Fueling Stations Creating Corridor for Alternate Transportation Fuel". Rrc.state.tx.us. Retrieved 2016-07-17. ↑ "Natural Gas Refueling in Texas : Map". Rrc.texas.gov. Retrieved 2016-07-17. 1 2 "Texas RRC - RRC Commissioner Porter: Texas CNG, LNG Sales Show 78 Percent Increase Over FY 2014". Rrc.texas.gov. 2010-11-02. Retrieved 2016-07-17. 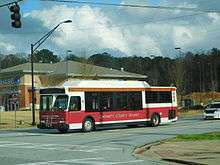 ↑ "Gwinnett County Transit". Gwinnettcounty.com. Retrieved 15 May 2015. ↑ RDVO, Inc. "MBTA > About the MBTA > News & Events". Mbta.com. Retrieved 15 May 2015. ↑ "City of Harrisburg switches city trucks, police car, to compressed natural gas". CNGnow.com. Retrieved 15 May 2015. ↑ "Natural Gas Prices in the US". Retrieved 2013-10-23. ↑ "City, Neapolitan Express unveil city's first eco-friendly food truck". Retrieved 2 December 2016. ↑ "YounkinCNG.com". Younkincng.com. Retrieved 2016-07-17. ↑ Sperling, Daniel and Deborah Gordon (2009). "Two billion cars: driving toward sustainability". Oxford University Press, New York: 42–43. ISBN 978-0-19-537664-7. ↑ "Mercedes-Benz OC500LE - CNG". Sydney Buses. New South Wales Government. Archived from the original on December 2, 2008. Retrieved 28 August 2010. ↑ "NGV Bus Demonstration - H Bender - December 1993" (PDF). Retrieved 2007-07-26. ↑ "Natural gas: the future of fuel?". The 7.30 Report. Australian Broadcasting Corporation. 29 April 2008. Retrieved 28 August 2010. ↑ "AT&T Orders 1,200 CNG-powered Chevrolet Express Vans". media.gm.com. Retrieved 15 May 2015. ↑ "AT&T Press Release Headlines & News from AT&T". Att.com. Retrieved 15 May 2015.